After the Europe Cup final in Berlin on Sep. 22nd, the tournament table draw for the quarter-finals of the SWC 2018 World Finals took place. Please check out below to find out how eight Summoners will compete in the quarter-finals! 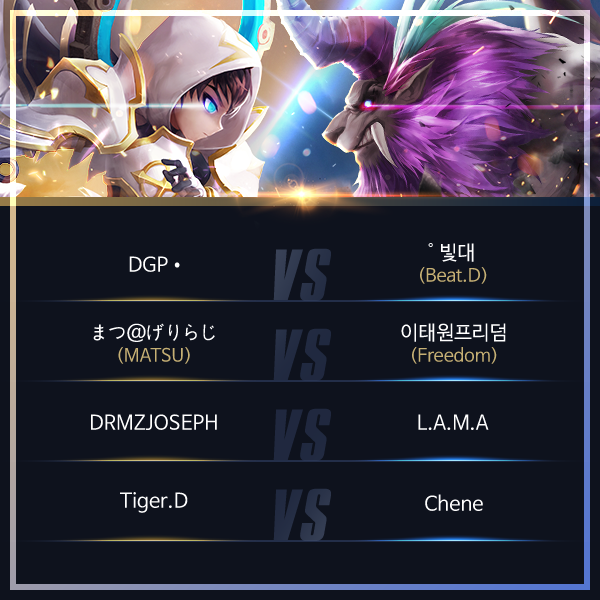 SWC 2018 World Finals will also be live streamed via Summoners War eSports YouTube channel on Oct. 13th, so please stay tuned. We'll put up another notice to notify you with the details of the SWC 2018 World Finals streaming and events. Has been a great championship!! I think Joseph, DGP and Tiger stand a good chance! Any idea how to be strong as you guys?